When Organization plan to make their move to Office 365, they need to decide on the right Identity model they are going to adopt and make proper planning for Integrating their existing infrastructure with the Cloud. 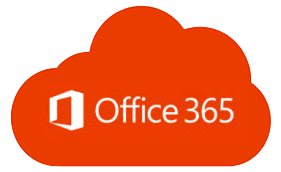 Cloud identity: Manage your user accounts in Office 365 only. No on-premises servers are required to manage users; it's all done in the cloud. Synchronized identity: Synchronize on-premises directory objects with Office 365 and manage your users on-premises. You can also synchronize passwords so that the users have the same password on-premises and in the cloud, but they will have to sign in again to use Office 365. Federated identity: Synchronize on-premises directory objects with Office 365 and manage your users on-premises. The users have the same password on-premises and in the cloud, and they do not have to sign in again to use Office 365. This is often referred to as single sign-on. Most Large Enterprise Customers have adopted the federated Identity Model for SSO and also to meet their complex business requirements, and for other customers who need to have SSO with Office 365 and also want their passwords to stay on-premises, we now have a good news from Microsoft, you have the new "Azure AD Pass-Through Authentication and Seamless Single Sign-on" available and now both are in public preview. Pass-Through Authentication and Seamless Single Sign-on features are added to Azure AD Connect, These new capabilities allow customers to securely and simply integrate their on-premises identity infrastructure with Azure AD. You are no longer required to have a complex Setup like AD FS to achieve SSO. Also review the excellent blog post from Veteran MVP Jeff Guillet on this topic below for more understanding. Take a look at the below session from Microsoft Ignite conference 2016 to know the new enhancements for Identity and Access management with AD FS and Windows Server V Next.